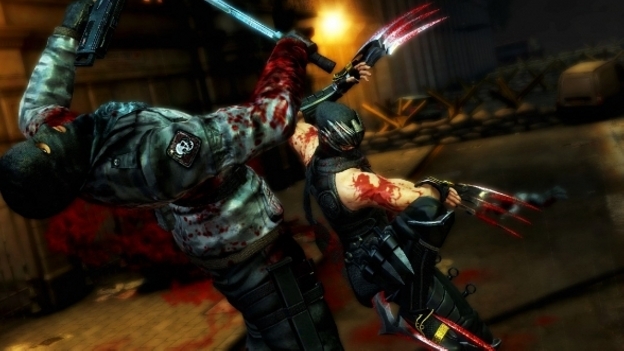 Upon release, Ninja Gaiden 3 offered players only one type of weapon: a katana. According to Hayashi, for months leading up to said release, this was the focus of the game—the intricacy of swordplay and the sensation of “Steel on Bone.” It was announced, before the ship date, that the game would have free DLC in the form of two of Ryu’s weapons from previous games—the Falcon’s Talons and Eclipse Scythe of Ninja Gaiden II—as well as a pair of extra multiplayer stages. The first of those—the Falcon’s Talons and first multiplayer stage—dropped today, only for gamers to discover that the weapon was a story mode only deal. That is, the “Lite” version, which is available for free, is only usable in the story. If players wish to go online with this extra weapon, or use it in the Ninja Trials, they must shell out $3 or the equivalent in Microsoft Points. Additionally, as many as 20 new Ninja Trials of varying difficulties are available for download either by difficulty level (in four $2 packs) or as a set with the Talons for $10. There’s a costume pack, as well, for $2 that is included in the $10 set. There’s nothing to be upset about, as far as the trials and costumes go. Hayashi had teased paid DLC in the form of extra trials and a new difficulty level (Ultimate Ninja) in the past. The Talons and Scythe, though, were supposed to be free DLC, as a show of good faith to the fan base, with no indication that using them in the “Shadows of the World” mode would require one to shell out additional cash. It’s another act in a recent trend of manipulative DLC, taking advantage of digital distribution to squeeze that little bit of extra cash out of players.